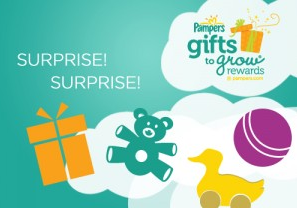 Don’t miss out on a new Pampers Gifts to Grow code FBW5RACADWP7113 for an additional (10) points. These add up quickly and it’s fun to exchange your points for Coupon Booklets, Photo Collages and more! If you’re not familiar with the rewards program, when you purchase Pampers diapers, training pant and wipes, you can collect codes from inside each package to enter online to accumulate points and redeem for rewards, including high value coupons! Or just wait for the free codes to come along. If you have not signed up before, you will get 100 points just for creating an account.